The future site of the FXFOWLE-designed 77 Greenwich Street, a.k.a 42 Trinity Place, has seen substantial progress since YIMBY last checked in on what will eventually become a 40-story and 500-foot tall residential building, back when permits were filed in September of 2016. Demolition of the site’s former occupants is now complete, and excavation is well underway. The area by the mouth of the Brooklyn Battery Tunnel is one of the last available places in Lower Manhattan that has yet to be fully redeveloped, which makes this site a perfect candidate for revitalization, with restored public spaces and infrastructure. While 77 Greenwich Street will only have 90 units, they will provide comprehensive views of both the Hudson River to the west, and the Financial District to the east. 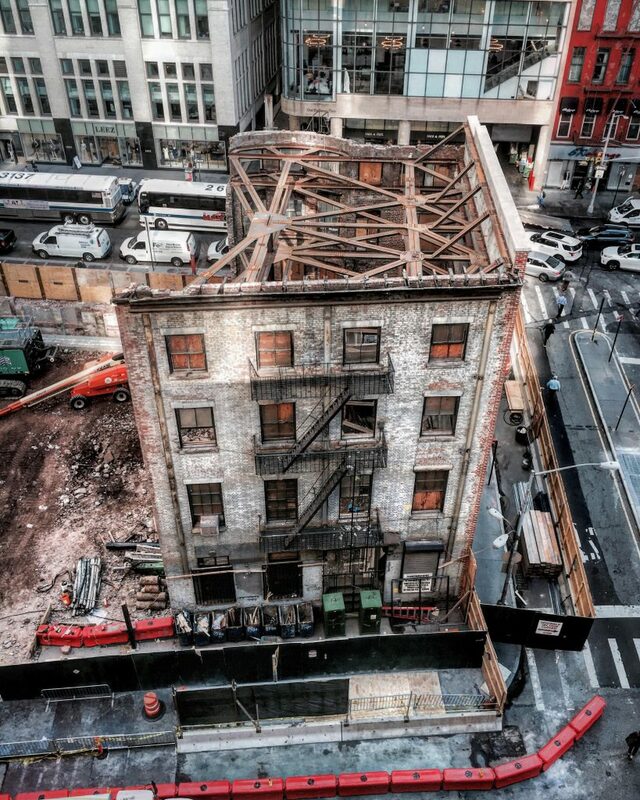 The Robert Anne Dicke House as it stands today while 77 Greenwich Street will rise to the north of the house. 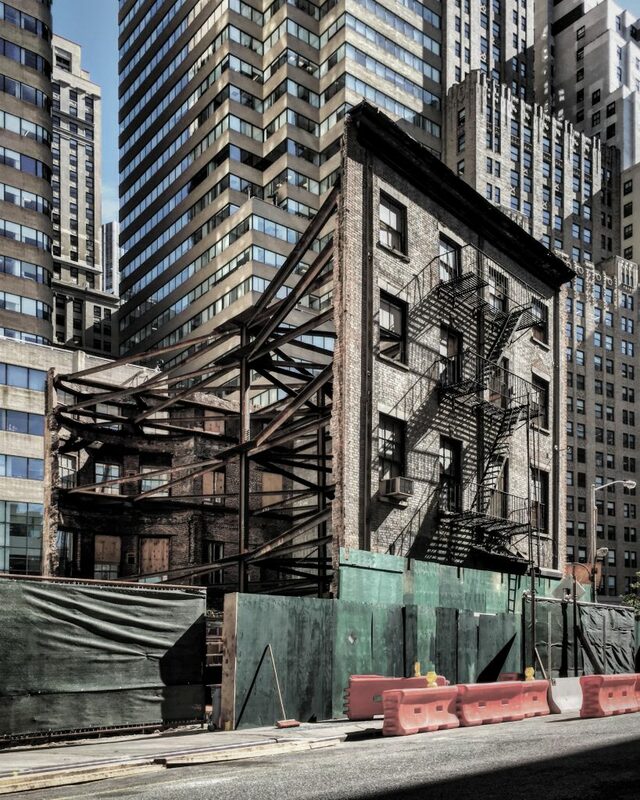 The landmark Robert & Ann Dickey House, which sits on the southern end of the site, has been hollowed out, but will be refurbished and restructured in the construction of 77 Greenwich Street. The building is currently being braced and reinforced with a steel structure, which holds the brick facade of all three remaining sides together. The site of 77 Greenwich Street in early October, with demolition of the old structure now complete and excavation in the early phases. The design of 77 Greenwich also had to incorporate a cantilever that will hang above the Dickey House. That had to be redesigned in order to receive approval from the Landmarks Preservation Commission, which it finally did back in March of 2016. Permits have been filed since then, and besides the condominiums, the lower floors of 77 Greenwich Street will also provide new retail space and a grade school. One of the benefits for future residents is easy access to the Rector Street stop on the R, W, and 1 trains, which sits right in front of the building, on Trinity Place. It will also be a short walk to Elizabeth H. Berger Plaza, which will be completely renovated with new landscaping and walkways by 2019. That will re-open in commemoration with dedicating the park to Little Syria, which was once situated in the area surrounding Washington Street, Battery Park, and Rector Street. 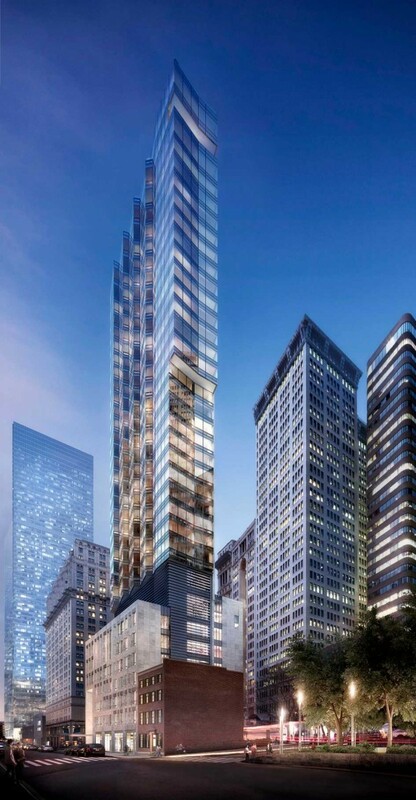 As for 77 Greenwich Street, Trinity Place Holdings is the developer, and completion of the tower is likely by the end of 2019. 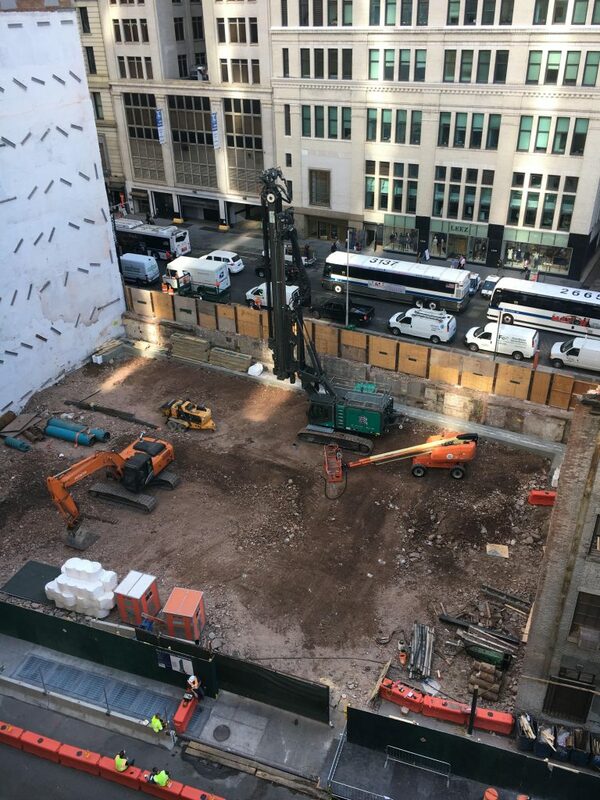 3 Comments on "Excavation Begins for FXFOWLE-Designed 77 Greenwich Street, Financial District"
That historic brick building is charming ; it adds much needed character to the street front as view by pedestrians….